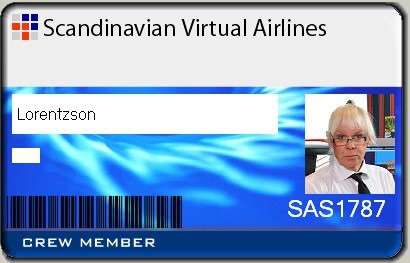 It is a lot of fun to fly on Vatsim as Virtual pilot. You get to do flights that you never would thought of. I take a look in the timetable and find new places to go. On the six flights I have made until now, three of them have been to totally new airports I never been to before. And the software records my landing statistics and I find that my passengers have a rough ride. Not dangerous, just a little bit unpleasant. I have to work on my approach. 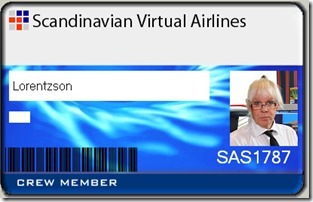 Landings are ok.
You are here: Home Simulation Now I am flying for a virtual airline.